Mrs. Marie Elizabeth Dennis, 87, of Steele, died Monday, Oct. 15 in Kennett, Mo. Deborah Diane Coleman, 50, passed away Tuesday, Oct. 16, 2012, at Hurley Medical Center. Mrs. Laverne Eva Brannen, 88, of Lepanto, died Tuesday, Oct. 23, 2012. Born Feb. 9, 1924, in Hartsville, Ala., she was a retired factory worker of the Pentecostal faith. With Halloween around the corner, here are a few tricks and treats in the news. Blytheville Police have identified Newell Jerome, 59, of Blytheville, as the victim of the homicide that took place early Monday morning. This year's United Way of Greater Blytheville Chili Cookoff was a huge hit, according to executive director Mary Helen Moody, who said she's already looking forward to next year's event. 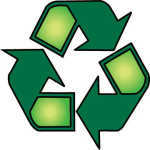 The cities of Gosnell and Osceola plan to join Blytheville in its recycling efforts. Two young women involved in the 2011 kidnapping and murder of 20-year-old Dorian Long offered pleas and were sentenced in circuit court last week. Justice Emmanuel Lofton has served on the Mississippi County Quorum Court for more than 20 years and will be retiring from the position after this year. A recent photo of the Blytheville Greyhound Bus Depot. Photo submitted by Peter Ricard. Allexys Lamb and Anna Pillow show off their awesome tattoos they got at the United Way Chili Cookoff Saturday in downtown Blytheville. Photo submitted by Julia Lamb. Cousins Allexys Lamb, Anna Kaye Pillow, Danielle Ramirez and Courtney Meyer recently enjoyed a night of WWE wrestling in Jonesboro. Photo submitted by Julia Lamb. These eighth-grade students helped with Red Ribbon Week activities at Gosnell Junior High. Pictured are Shelby Crosskno, Callie Kennemore, Matthew Miller, Austin Wren, Abby O'Neal and Samantha Reams. Mr. Earnest Lamont Mitchell, 34, of Arlington, died Friday, Oct. 19, 2012, at Tarrant County Hospital in Texas.